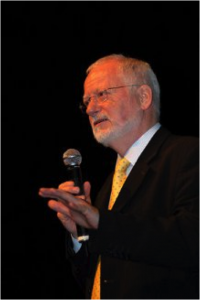 Recognised as an authority on a wide range of education subjects, particularly Steiner Waldorf Education, Christopher is a popular, dynamic and inspirational speaker that is respected across the world. 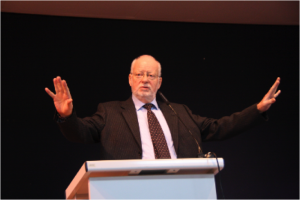 He receives many invitations to lecture and gives numerous key-note presentations, public talks and lectures at conferences, universities and teacher education courses in the UK, Europe and globally. If you’d like to know more about Christopher’s upcoming events or would like to book him for a conference ot public talk– please don’t hesitate to get in touch. Spain: Barcelona, Bellaterra, Bilbao ( University of the Basque Country) Lugo, Madrid, Pamplona (Universityt of Navarre), Toledo (Fundación SanPatricio) Santander, St.Cugat, Vic, Vitoria- Gasteiz. UK: Aberdeen, Brighton, Bristol, Bruton, Cambridge, Canterbury, Cardiff, Derby, East Grinstead, Edinburgh, Exeter, Forest Row (Sussex), Forres (Moray), Frome, Gloucester, Glasgow, Hereford, Hollywood (NI), Ilkeston, Kings Langley (Herts), London, Norwich, Nottingham, Oxford, Plymouth, Reading, Ringwood, Stourbridge, Totnes.